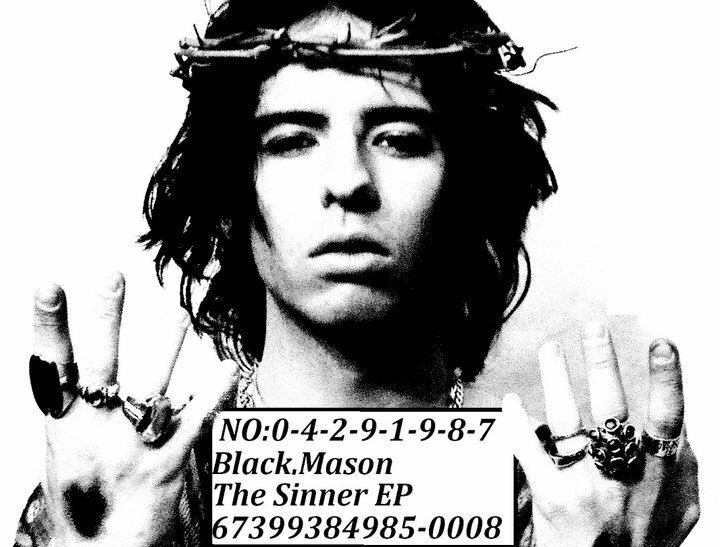 I'm pleased to introduce you to Mason Black, a brand spankin' new pop/rock singer whose debut, The Sinner EP, is available on iTunes. As the title suggests, the set follows (loosely) a similar theme as Katy Perry's riveting "Who Am I Living For," which essentially boils down to "oh hey, there's a real world out there that looks better than the super-Christian cave I was raised in...I'm gonna explore it, even though I'm pretty sure this means I'm going to hell but I'm okay with that...I think...?" Black's set picks up midway when he starts singing in his higher register, which is clandestine compared to the lower one, although a vocal coach could easily smooth it all out into the more than capable instrument it clearly is. There are neat bits sprinkled here and there but the one track that really kills - no pun intended, I promise, is "Jack the Ripper," which is nothing like anything else on the EP and is really on another plane...plus, it's fantastically entertaining. The sober closing track "Wish You the Best (Brand New Lover)" is also worth a special glance. *If you are a new artist and think I might enjoy your music (I suggest browsing the site a bit to get a handle on my taste...it's not difficult, I assure you) please, by all means, get in touch! Email or Soundcloud are ideal.